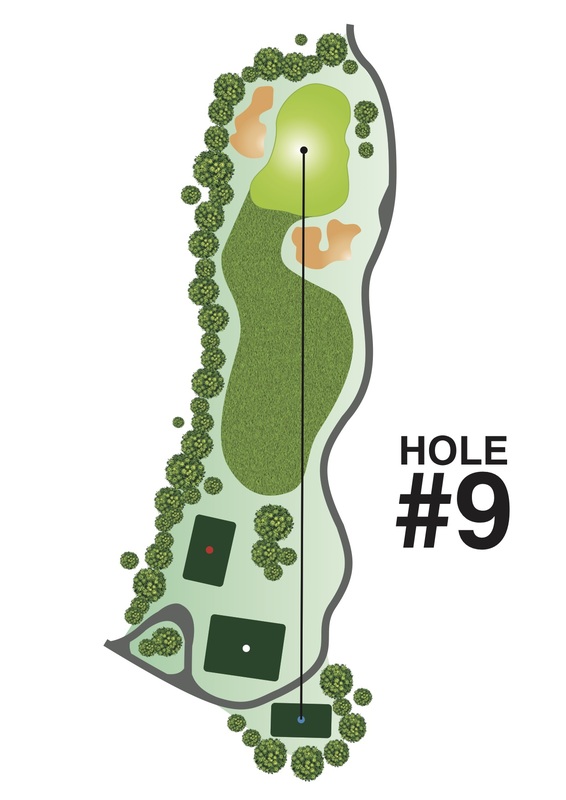 The mid length, finishing par 3 hole for the nine is played over a gentle valley to a large green wide at the front and narrow to the rear. Two bunkers guarding rear left and front right make close approaches to adjacent pin positions difficult. The player should be careful not to overclub when the pin is located front left as the angled downslope from mid green creates a very speedy putt from anywhere beyond mid green.